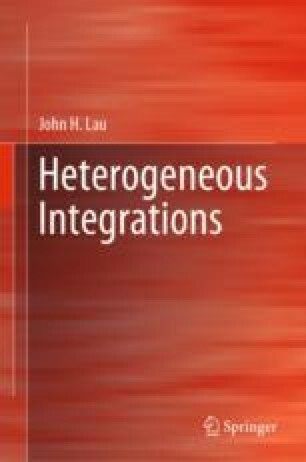 In this chapter, the heterogeneous integration of CIS (CMOS image sensor), heterogeneous integration of LED (light-emitting diode), heterogeneous integration of MEMS (microelectromechanical systems), and heterogeneous integration of VCSEL (vertical cavity surface emitted laser) and PD (photodiode) detector will be presented. Emphasis is placed on providing some examples of each of these heterogeneous integrations. Tetsuo Nomoto1, Swain, P. K., and D. Cheskis, “Back-Illuminated Image Sensors come to the Forefront,” Photonics Spectra, http://www.photonics.com/Article.aspx?AID=34685.